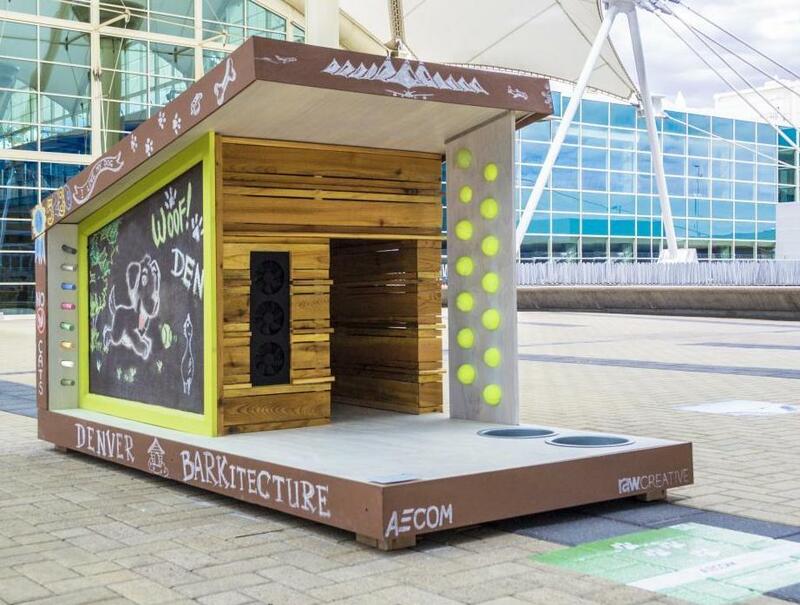 Designed by AECOM, this dog house integrates solar powered automation. The solar panel charges a battery that provides energy to power LED lighting and to run a built-in fan that comes on as the temperature reaches a certain level. The overall design allows for natural air movement and for rising warm air to escape on hotter days. 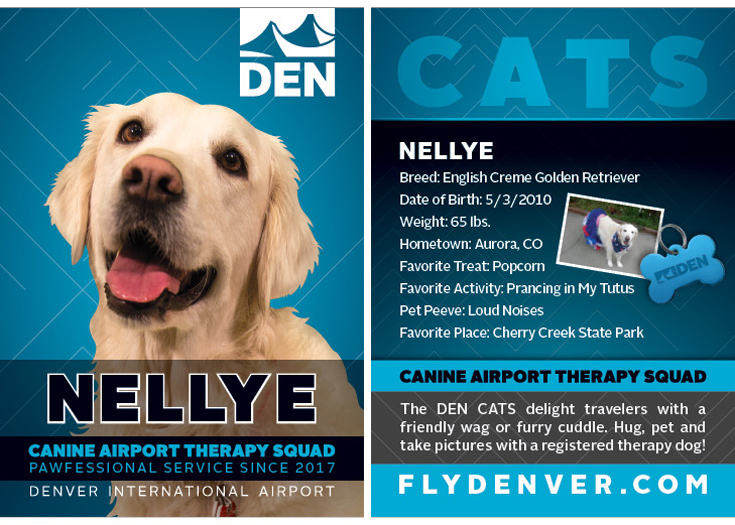 DEN Canine Airport Therapy Squad dog, Nellye, a golden retriever who loves people but would rather avoid loud noises. With a long-time golden retriever companion on their team, AECOM set out to create separate spaces that encourage the activities they know this breed favors: a wide porch for friendly visits with people, complete with a playful chalkboard, and a doorway that gradually transitions to a quiet, private area for escaping commotion and decompressing.